Guess what? It’s Thanksgiving time again. When you’ve been gluten-free for awhile, you might have an arsenal of recipes you’ll make for Thanksgiving. (Then again, it’s alway a joy to try new recipes too.) But if you’re new at this, Thanksgiving is the hardest holiday of the year. All that gluten: stuffing, pumpkin pie, casseroles with cream of mushroom soup, rolls, gravy, cornbread, and all that cross-contamination, on top of it. I’ve heard tales of people eating nothing but salad for Thanksgiving dinner, to make sure they don’t get sick. Folks, we have you covered. 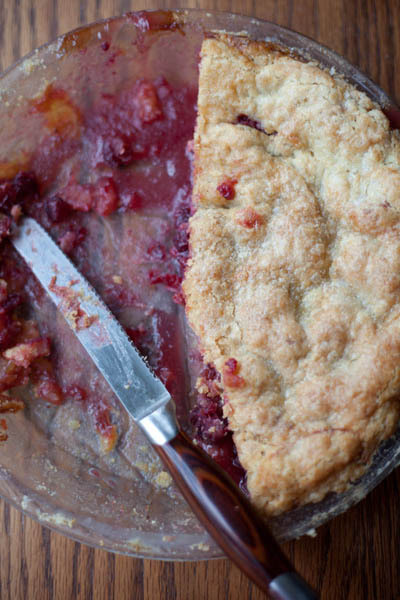 For years, we’ve been making gluten-free Thanksgiving recipes for you. From appetizers to desserts, we’ve made them as delicious as we can. If you want to make all the gluten-free (and grain-free) baked goods and foods with flour, we have an inexpensive digital book for you: Thanksgiving Baking with Gluten-Free Girl and the Chef. Easy peasy. We figured them all out for you. The digital book is only $3.99 and available right now. A few years ago, we teamed up with the wonderful Debra and Rod Smith of Smith Bites to make videos showing you how to take every step in the process. How to shop for a gluten-free Thanksgiving. How to make easy gluten-free appetizers for Thanksgiving. How to roast a turkey. How to make great mashed potatoes. How to make gluten-free gravy. How to make gluten-free sandwich bread for stuffing. How to make gluten-free stuffing. 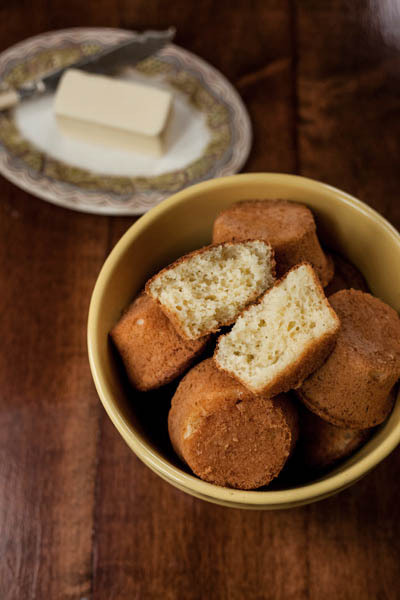 How to make cornbread for dressing. How to make butternut squash soup. How to make roasted cauliflower. How to make orange roasted sweet potatoes. How to make cranberry chutney. How to make roasted brussels sprouts. How to make gluten-free pumpkin pie. Simmer some turkey stock with the leftover carcass. Make some turkey hash with leftover vegetables and potatoes. Enjoy some cottage pie, with turkey, vegetables, gravy, and mashed potatoes. And if you are tired of all those carbs and starches, make turkey lettuce cups with pear and walnuts. Need still more ideas for the big gathering? Here are some recipes we’ve created over the last 10 years that would go well on the Thanksgiving table. Finally, we’d love to remind you that our latest cookbook, American Classics Reinvented, is a cookbook meant for family gatherings and holidays like Thanksgiving. It’s a book about longing — the longing so many of us have to fit in and eat well with the people we love, even without gluten. It’s a book that will help fill that longing. The potato filling recipe from Pennsylvania Dutch country will be going on our Thanksgiving table in Colorado. (We’re visiting Danny’s family this year.) 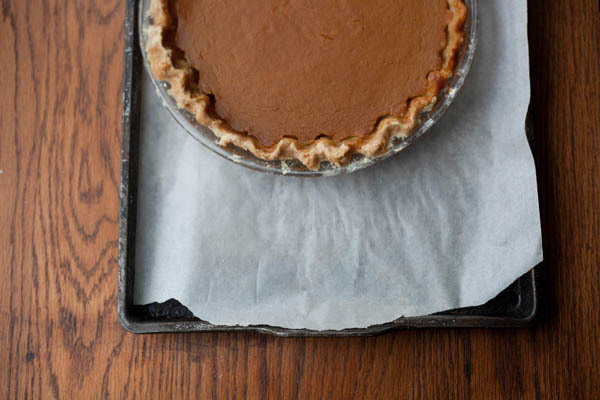 We created an entire pie chapter, including a sweet potato pie we’ll be making for the feast with our family. 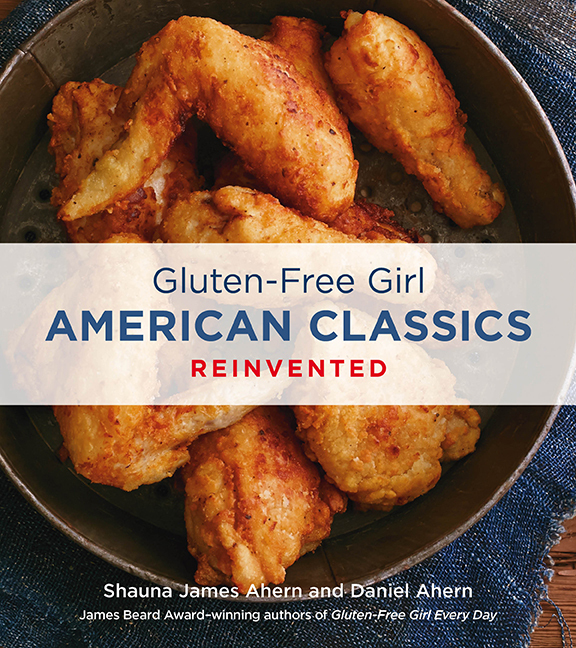 And of course, since Thanksgiving kicks off the holiday season, we’d like to remind you that American Classics Reinvented makes a great gift for someone you love. Or you! This is the most comprehensive list of GF foods for the holidays I’ve seen. Truly, truly appreciate you compiling your recipes in a “one stop” shop platform AND making them available in an e-book! For busy families this is so helpful. I haven’t tried your flour yet and have been meaning to! Will need to get it ordered and, soon. Thanks again for representing our GF community so well. Your work has supported us all!! BTW – my gift box full of Jovial oil, sauces and noodles were outstanding. It’s all I use now. Yummy. Thank you! Thank you so much, Brenda. I really appreciate this comment! This is great Shauna! Thanks. Only problem I’m having is the videos. They are coming up mia. There are also a few links on the sandwhich bread for stuffing page for bread recipes but the links aren’t working. thanks! Hey Cindy, they’re all coming up for me. However, if they won’t play for you, you might try another browser. If not that, they are all on YouTube. They also aren’t showing up for me on any available browser (Chrome, Firefox or Safari). It appears that I never received the update to the Thanksgiving app I purchased from you. Can you please advise me on how I can receive the update to the app I paid for. Some of the recipes are mssing important information. Tammy, there is no new update for the iPad app. Our developer says that the program he used to create is outdated and we decided to not pursue building it entirely new. If you have questions about the recipes, please feel free to email me. Are these recipes different than your ipad app recipes? thanks. These are the iPad app recipes! So many people without iPads asked for the recipes that we created that digital download instead. My favorite soup when I was young was Cream of Mushroom. I still love mushrooms, but not the cream or the gluten. Just made my first batch of your version of this soup from American Classics Reinvented and it’s delicious! And if I’d remembered to use the olive oil it might even be more delicious! Perfect for sipping on this rainy Fall day, and perfect for casseroles to come. Thank you so much for this blog. My cousin is gluten intolerant since she was born and now my aunt knows, for the first time in 50 (!) years, she’s gluten intolerant too. I also have some problems with my body when I eat too much gluten, so maybe I have to take a better look at what I’m eating aswel. I am not sure what’s worse – nothing to eat or the constant questions about what you can eat. I have no other GF relatives or friends, so I usually eat “around” the gluten (turkey, veg, cranberry), but this yer it was constant questions about what I can and cannot eat. They were just being considerate, to be sure. But sometimes I just want to eat without scrutiny!! !